Our office offers medical abortion using the pill Mifeprex and Cytotec. This is a non-invasive procedure offered for women whose pregnancy is 56 days or less from the first day of their last menstrual period. Pregnancy age is verified by ultrasound and doctor's exam to confirm eligibility. It is between 95%-97% effective. The patient will need to visit our office at least two times for this type of abortion. (One) To begin the abortion process. (Two) To confirm the pregnancy has ended. The first visit will include lab work, ultrasound, patient education, pelvic exam, administration of the Mifeprex tablet, and four Misoprostol tablets (Cytotec). These tablets will need to be used as directed by patient at home 24 to 72 hours after taking the Mifeprex. Additional prescriptions may be written. The second visit will be scheduled in 2 to 3 weeks. 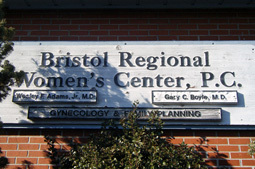 At this visit, an ultrasound will be performed at no charge. There are several things to remember before coming for your abortion appointment. Failure to bring some or all of the items listed may result in having to reschedule your appointment. Please click here for a list of things to consider before coming.